Are you looking for a stylish gift for a loved one? Or do you simply want to treat yourself with a stunning jewel? 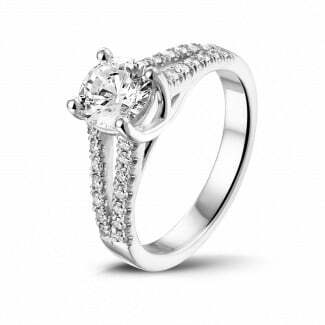 Our extensive collection of diamond rings is hand crafted and has an excellent price/quality ratio. You can choose between diamond rings in white gold, platinum, yellow gold, red gold. 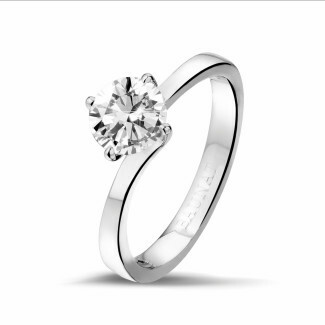 Why should I choose a ring from BAUNAT? Each individual jewel is handmade and we personally ensure only the highest quality materials and precious stones are used during this process. In addition, you can choose between a wide variety of precious stones, in all shapes and sizes. Would you like to be inspired by our collection? Book an appointment and visit one of our specialized showrooms. 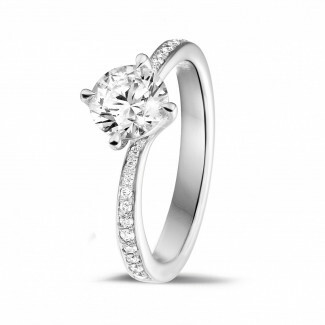 Our experts will be happy to help you in your search for the perfect diamond ring. Can I design my very own tailor made ring? 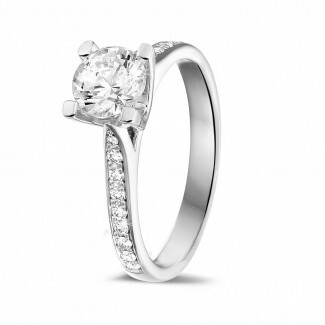 Do you prefer to purchase an exclusive diamond ring that meets your personal taste and expectations to a T? We can design and create a tailor made jewel especially for you, using your ideas as a starting point. Our experts are here to guide you throughout the whole creation process, from first draft to finished product. What if I want to order my ring online? 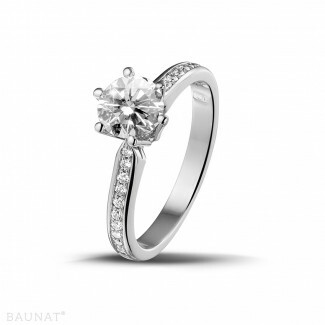 The complete collection from BAUNAT can be consulted online, so you can quickly and easily choose and order your diamond ring online. On average, you can save up to 30 to 50% on the purchase price by buying your diamond ring online as opposed to your local jeweller. We ship your purchase for free and also offer you 30 days in which to change your mind. This way, you can exchange your ring hassle-free if it does not fully meet your expectations.